Hardy fundraisers came together in Abington Park on Friday to take part in one of the town's biggest charity events for Northampton's homeless community. The Northampton Hope Centre's Big Sleep Out aims to help residents understand the realities of living on the streets as well as to raise thousands of pounds for the charity. This year the annual fundraiser - which had 240 participants - saw more than double the number of people take part compared with last year. 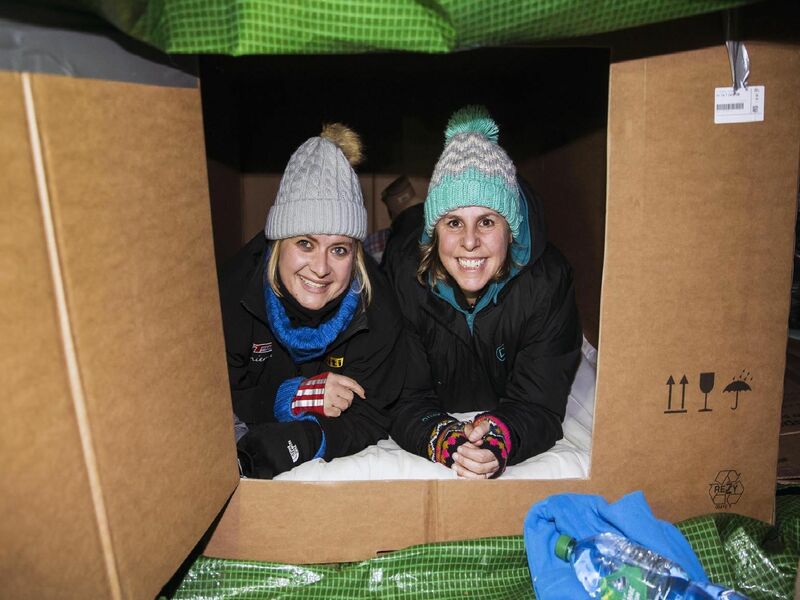 Fundraisers slept in cardboard boxes - instead of tents - in below-freezing temperatures and used only plastic sheeting, blankets and layers to stay warm, as many street homeless people do.